Bronze daggers with inlaid decoration. These bear representations of a Nilotic landscape (felines chasing aquatic birds among papyrus flowers), spirals and lilies respectively. 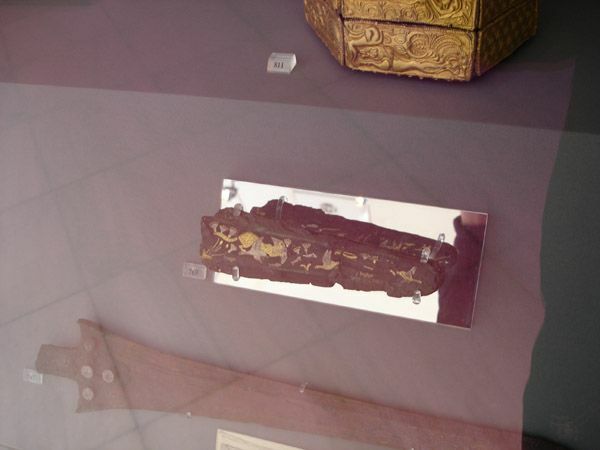 The thin gold and silver decorative sheets are held in place on the bronze blade using a gold, silver, bronze alloy.